It’s Saturday again, which means its time for the series spotlight feature. This week I’m joined by Owen Mullen, author of the Charlie Cameron series. School was a waste of time for me. Or rather, I wasted time; my own and every teacher’s who tried to get me to work. It took twenty years to appreciate what they were telling me. Life has rules. They aren’t written down but they exist nevertheless. I got that. Eventually. But by then I was thirty five. Along the way I missed an important clue. At ten I won a national primary schools short story competition – and didn’t write anything else for forty years. As a teenager my big obsession was music. Early on I realised if I was successful I would probably be rich and famous and pull lots of girls. So how did that turn out? Well, you haven’t heard of me, have you? And this morning I caught myself worrying about the electricity bill. So the short answer is: one out of three ain’t bad. Running around the country in a Transit van with your mates is fun. It’s your very own gang. You against the world. Until you fall out and the dream lies bleeding on the dressing-room floor. and became a session singer. I also started gigging with different bands on the circuit. Back in Scotland – most of us come back with wild tales of great success, none of them true – I wondered what I should do with myself and didn’t have to wait long for the answer. Her name was Christine. We got married, I went to Strathclyde Uni and got a bunch of letters after my name, and toughing it out at Shotts Miner’s Welfare, or dodging flying beer cans at the Café Club in Baillieston, was in the past. The long hair was short now, I wore a suit and pretended to like people I didn’t like because we were ‘colleagues’. After many adventures I started my own marketing and design business and did alright. Christine and I were very happy, we travelled all over the place; India, Brazil, Botswana, Nepal, Borneo, Japan. One day I suggested we move. To the Greek islands. So we did. We bought land and built a beautiful villa overlooking the Mediterranean. Then the pan global financial crash happened, years of fiscal carelessness finally caught up with Greece; the exchange rate dived and the cost of living in Paradise went through the roof. I had to do something. Then I remembered the short story competition. I had been good at writing, hadn’t I? I wrote another short story called The King Is Dead…the first thing I’d written since primary school. When I typed the last word [Christine taught me to type] I held the pages in my hand then started to read. An hour and a half, rooted to the chair unable to believe what was in front of my eyes. For four decades I had shunned a god given gift. And as I read I started to understand why. It was awful. Not just bad. Bloody terrible. And now, eight years and seven books later, three literary agents plus two I turned down [they were reading a different book] I am a writer. My books are on Amazon. People buy them and come back for more. In Games People Play, Jackie Mallon – who runs the New York Blue bar/diner where Charlie Cameron has his office – decides to have a bagua done on the restaurant. Don’t know what a bagua is? You’re not alone. Jackie is trying to maximise the energy around the business. A strange man comes from the Glasgow Feng Shui Society to help her. Before long she is re-arranging the furniture, painting the front door red – apparently it brings prosperity – and strategically placing an ugly little chunk of marble in the image of a three-footed frog: the Toad God. So where did that come from? Easy. From my own life. Kind of. Years ago my wife, Christine, became interested in Feng Shui. She would sit quietly pouring over books with strange titles. I didn’t ask what they were although I was about to find out. One night I was looking for a magazine I’d bought months earlier. It wasn’t where I remembered leaving it. After an hour of fruitless searching I asked Christine if she knew where it was. She shook her head and started to walk away. The point I’m making is that, for a writer, everything in life has the potential to be used for a story. The things we store away without even knowing we’re doing it can come back when they’re needed. I don’t go through life filing stuff I think will be useful. I only realise I must have done it when it pours, seemingly from nowhere, on to the page. And of course I keep my eyes and ears open and dismiss nothing. Christine wants to add something. ‘I certainly do. As I understand it, the advice on this topic is that we give energy to every single thing we own. So if we don’t love it, and we don’t use it, it’s just physical and mental clutter. Never believe anything a writer tells you. There was no magazine – it was old cooking utensils Owen hadn’t used in 100 years. The Billy Joel CD is still nestled beside all the other CDs Owen doesn’t play; the collection is set out in alphabetical order. Surprisingly, Billy Joel comes…wait for it…J Being a man, that concept is beyond Owen. Great writer but… Lastly, the coat. The coat was old and scuffed; the lining hung down at the back and the style wasn’t ever coming back. It was an embarrassment and yes, I pitched it out. Nothing to do with energy. It was a rag and the bin was the best place for it. Owen couldn’t see he was only achieving half of the ‘shabby chic’ look he was aiming for…and it wasn’t the ‘chic’ half! ps I like the Toad God, he’s come through once or twice, and at least he doesn’t use ‘poetic licence’ in his stories about me!. I also asked Owen what series he’s read that he would always recommend, and he chose Sherlock Holmes and Neil Cross’ Luther series. Huge thanks to Owen for taking the time to participate in the spotlight feature. Here’s all his info if you want to keep up with news, books etc! So today is the 13th and its time for another Sucker for a Series post! Taking part today is author Tracey Sinclair. When it comes to reading, nothing makes me happier than finding a good series. While, if you asked me what my favourite books are, they would almost all be standalone works of fiction, when it comes to my favourite authors, it’s another matter – the writers who get me excited tend to be creators of series I can get my teeth into. In part, I admit, it’s a comfort thing: I love an original, challenging book, but I also don’t have the energy to read that kind of thing all of the time. Sometimes I want to relax into a book like a warm bath, welcoming back characters I have come to know and love like old friends. I also think that genre, character-based series, while often neglected or even sneered at by literary critics, can be excellent vehicles for social and political commentary, without being heavy handed: I defy anyone to present a better example of toxic capitalism than Terry Pratchett’s Going Postal – and that’s a book that features trolls and golems. Dennis Lehane has written many fine standalone novels, but it’s in the seemingly throwaway details on the edge of a murder case for longstanding characters Kenzie and Gennaro (one of my favourite couples in fiction) that he presents a searing indictment of how the recession affected ordinary people. As a writer myself, I’ve been on both sides of the table. My first novel was a ‘literary’ story, but I’m now thoroughly immersed in a series – my Dark Dates paranormal / urban fantasy books. And I can certainly see the appeal: it’s a joy to come back to characters who have become so real to you, and the reader reaction is addictive. Like any writer, I love hearing that people enjoyed my books, but when people start to care about your characters, it’s a completely different – and intoxicating – feeling. One of my proudest author moments was when one of my friends told me that she and a couple of workmates had had a heated water cooler debate over which of my male leads they fancied most! I often start reading series out of order, since I tend to pick up a lot of crime novels in charity shops. (I never feel bad about this, since if I like a writer, I then tend to buy their backlist – so they are making their money off me!). Many of my favourite series – Tess Gerritsen’s Rizzoli and Isles, Lee Child’s Jack Reacher, Jim Butcher’s Harry Dresden – I started mid-way, fell in love and went back to the start. (And there’s a particular pleasure in finding a series that is already well established, so you know you have a decent backlist to wade through without having to wait). My current obsession was the discovered in the same way – and I’m glad. 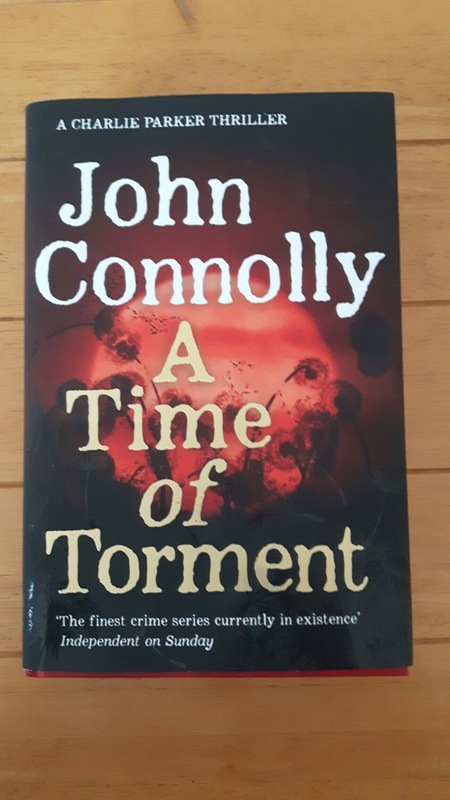 I had fancied reading John Connolly’s Charlie Parker books for a while, drawn by their interesting covers, which seemed to imply a supernatural element, which always appeals to me. So when I found one in my local Oxfam – book 12 in a series that now stretches to 14 – I picked it up for a song, and discovered a gripping thriller with a fascinating underlying arc. Charlie Parker is a compelling lead, and his friends, Angel and Louis (a gay couple whose pasts are as bloody as Parker’s own) are two of my favourite characters in any books, ever. Yet to be honest, having read them all now, if I’d read book one first, I’m not sure I would have stuck with them: for a start, they feature my least favourite trope from fiction (man driven to seek justice for dead wife and child) and the characters didn’t feel as fully fledged as they were to become. I suspect this is true for many series, and why the majority of those I love I’ve started in the middle: unlike reading an author who specialises in standalone works, where it can be hard for them to bottle lightning twice, writers of series tend to improve, as they – and we – get to know their characters. I’ve seen this in my own work – the reviews I am getting for my latest book, Angel Falls, which is the third in the series, almost all say similar things. This can be galling (‘what’s wrong with the earlier books? !’ you want to demand, grumpily) but is also nice to read: after all, who doesn’t want to get better? So I would say if you want a fantastic series of dark thrillers (and bloody hell, they are dark – you have to be okay with some fairly brutal killings) featuring some of the most interesting characters in genre fiction, all set against a mysterious but coherent and convincing arc that gets better as it goes on, then Charlie Parker is your man. Tracey Sinclair is an author and freelance editor and writer. 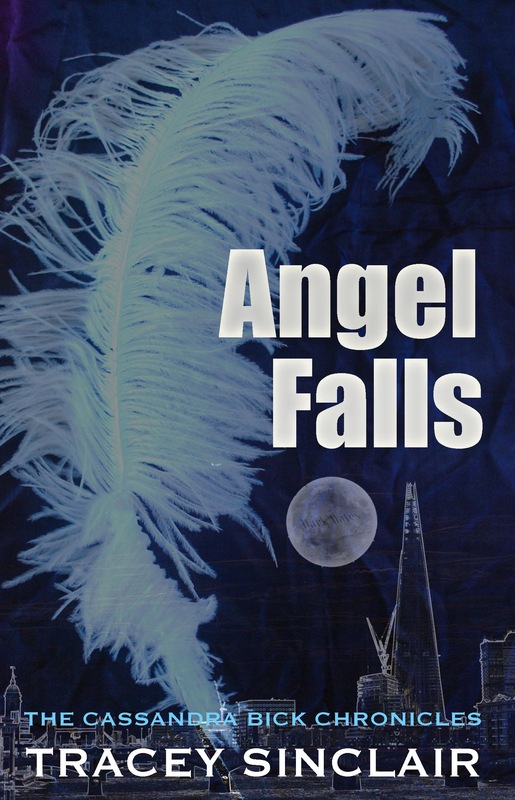 Her latest book, Angel Falls, the third in the Dark Dates/Cassandra Bick series is out now.